Enjoy a treasure hunt themed Scottish family adventure holiday – a fantastic mix of activities, wilderness and wildlife in the stunning West Highlands and the Cairngorms National Park. A destination perfect for many family friendly activities including mountian biking, sea kayaking, geo- caching, wildlife watching and bushcraft. This holiday is a great mix of activities whilst learning about the great outdoors and the natural environment. Staying 5 nights in family friendly accommodation this adventure holiday starts and finishes in Inverness and includes breakfast and lunch each day, qualified guides, all activities including the use of equipment, entrance fees and local transfers. Price is £775 children, £875 adults. Places available on 30 July – 4 August 2013 and just 4 places remaining on 21 August to 26 August. This holiday is suggested for children 8-16 years olds and no experience is required – just a reasonable level of fitness. 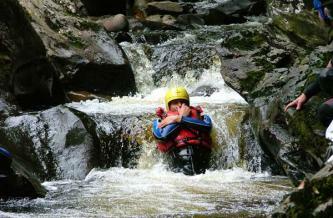 Family Adventure Holiday Scotland, Multi-Activity : Wilderness Scotland. Kids will be ready for some autumn fun after their first term back at school so why not book a Halloween half term break with Haven. Enjoy the change of seasons, put on a few layers and go outside before the winter sets in. Three and four night half term family breaks are available from only £149.00, a saving of up to 25%. With great water and sport activities, coaching sessions, a Fancy dress competition, heated pools, free Kids’ Clubs, Halloween specials and free entertainment for the whole family day and night. Three, four and seven night October half term breaks available between 19 October 2012 and 4 November 2012; 35 holiday parks to choose between. October Half Term Holidays & Breaks | 2012 Offers & Deals |Haven. Comrie Croft has a fantastic offer running where kids stay for half price and under 5s for free all year for individual camping and hostel stays. Comrie Croft is nestled into the south-facing foothills of a 3000ft mountain on the edge of the Highlands just over an hour’s drive from Edinburgh or Glasgow. Comrie Croft offers eco-camping – “beautiful, accessible camping with decent facilities, hot showers & campfires”, swedish kata tents and hostel accommodation. There is availability on tent pitches and katas during August 2012. If you are looking for a family friendly hostel, a Scottish camping holiday in natural surroundings or simply a place to relax surrounded by some of the best outdoor adventures then this is it. Walks, biking, and wildlife on the doorstep. Comrie Croft Hostel, Eco-camping, Kata Tents and Mountain Biking. Wilderness Scotland has a new trip to celebrate the release of the new Disney/Pixar blockbuster – Brave set in the Scottish Highlands. This Scottish family adventure holiday is a fantastic mix of activities, wilderness and wildlife. There are still some places on their 18 August 2012 departure. Visit the beautiful Cairngorms National Park, a destination perfect for many activities such as hiking, biking and canoeing. This holiday is suggested for children 8-16 years olds and no experience is required – just a reasonable level of fitness. This family adventure holiday includes 5 nights accommodation at a 4-star hotel, 1 night stay at a Wilderness Camp, most meals, qualified guides, all activities (except the free day) including the use of equipment and local transfers. Price is £795 pp. Beautiful accommodation in a vintage wagon caravan from £195 for a 3 night break (Fri to Mon) in June. The largest caravan is roomy enough for a family of four. There’s space for two children up to the age of 10/11 depending on height to sleep under the main bed for the ultimate ‘den’ experience. Danish pastries and fresh eggs are delivered daily to the converted timber stable – this indoor space comprises a kitchen stocked with cooking equipment, a rustic dining table and bathroom. The caravan looks across fields with grazing sheep and has its own private outdoor seating area. Holly – Canopy & Stars. Treat the family to a fantastic day of adventurous activities at Whitnaugh Park. Choose any two activities and enjoy between 1 and 2 hours of instructed activities per session. All for just £44 a family of four (£13 per additional person). Abseiling, archery, canoeing, fencing, gorge walking, high ropes, ayaking, raft building, Water Walkerz, Grass sledges are all on offer for your family adventure day. 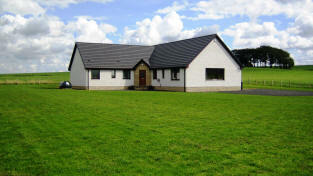 Great offer from this 4* self-catering cottage situated on a farm near the west cost of Scotland. A 7 night stay during June has been reduced by 30% to £530. Dates include: 8th-15 June; 15-22 June and 22-29 June 2012. The cottage has 4 bedrooms plus a kids TV room and a fenced garden area. A real farm stay experience as farm visits can be arranged to see how a Scottish farm works and with wildlife on the doorstep. Drumboy Lodge – self catering holiday accommodation in Scotland. Splash Adventure activity week in Highland Perthshire – great introduction to adventure sport at a very affordable price. Week’s activities include white water rafting, canyoning, river bugs, duckies, mountain biking and optional day of kayaking or climbing a Scottish Munro mountain. Splash Adventure Activity Week – Aberfeldy, United Kingdom. Find somewhere off the beaten track and wake up to an amazing, different view every morning. Special offers on mid-April short breaks from £192 or £64 p/n. Campervan Holidays Scotland | Special Offers.